On August 2, the China Chamber of Commerce of Foodstuffs and Native Products (CCCFNA) held the two day “China International Tree Nuts Conference 2017”. During the event, Board Chairman of Sino-Australian Agriculture Technology Developing Co. Ltd Xu Bin gave a speech about the state affairs of China’s macadamia market. He noted that fast development and great potential are what mark today’s macadamia market in China. 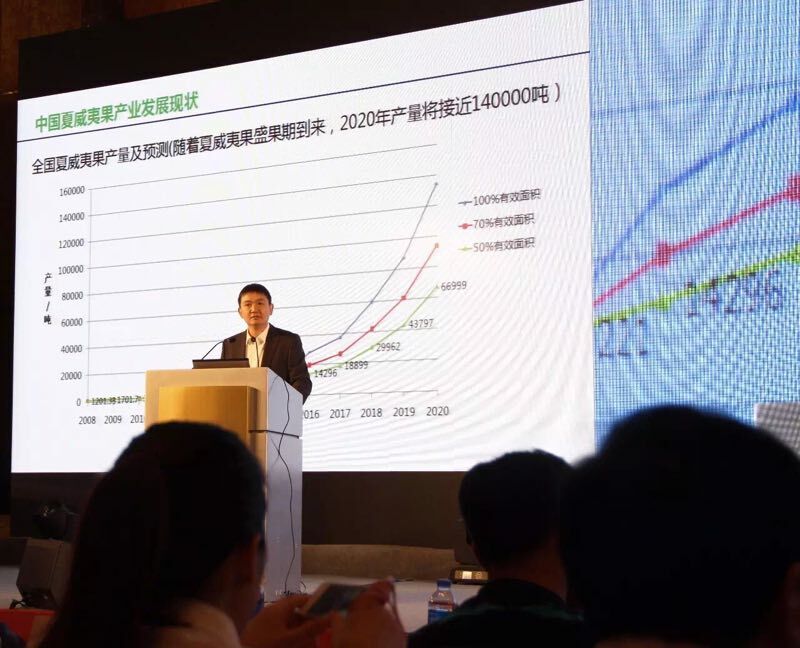 According to Mr. Xu, China now ranks first in the global macadamia market in terms of growing area and import volume, third in export volume and consumption, and seventh in crop yield. He went further by mentioning that he believed China would top all the lists by 2020. Total global macadamia planting area reached around 222,440 hectares in 2015 in which China’s 127,970 hectares took up 57%. That same year, in a display of strong momentum, newly developed macadamia planting areas in China equaled same share of newly cultivated land globally. Still, Mr. Xu also made a bold prediction that China’s growing area of macadamia would exceed 268,000 hectares in five years. Although China consumed a mere of 2 to 4 grams of macadamia per capita between 2010 and 2014, average consumption is growing fast at a rate as high as 65.88% annually—a sign of huge potential. 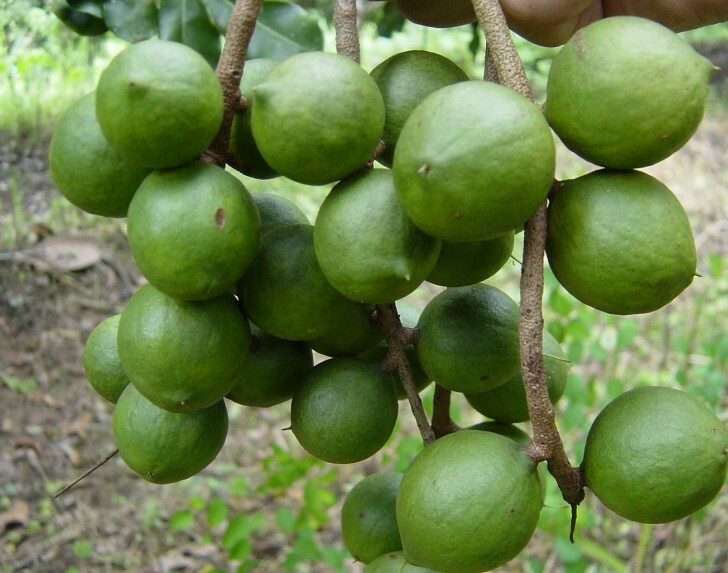 Based on the above-mentioned figures, China’s macadamia market looks promising. However, Mr. Xu also noted alongside positive market indicators exists two major issues. One is the restrictions posed by the natural environment. Most macadamia orchards in China, those in Yunnan and Guangxi provinces for instance, sit on mountains with unsatisfactory growing conditions that leads to mechanical operation difficulties and, therefore, low efficiency. Australian and South African orchards, on the other hand, are mostly based on flatland, hills or gentle slopes, which is more suitable for machinery. As labor costs increase, China’s disadvantage will emerge ever more clearly unless it modernizes its orchards. The other major issue is that both the quality of plants and orchard management are unsatisfactory. Some Chinese orchards did not plant good macadamia varieties early on, forcing them to make changes later on. Additionally, orchards are usually poorly managed, which minimizes the quality of fruits. Technical expertise needs to be improved in China. The country begun macadamia cultivation relatively late, hence related technology systems have yet to be established. More technological talents are needed and more work in research and development needs to be done in seedling cultivation, variety combination, management of soil and fertilizers, and so on. In addition, Mr.Xu gave many suggestions on possible trends in the macadamia industry. Macadamia is now promoted and known as a kind of snack, he said, but many of its other uses are also worth exploring. For instance, its shell can be used in materials like abrasives, paints, brake pads, wood rubber and more. Mr.Xu’s company has taken the initiative and applied for patents in those areas. The firm uses macadamia shells to produce abrasives in toothpaste, replacing traditional materials made form stone that often raise safety concerns when swallowed by accident. Macadamia flowers are a great source of honey and essential oils. Its skin, rich in arbutin and tannic acid, are suitable for lotions. More research and development can be done in cosmetology and health care. The fruit contains high levels of unsaturated fatty acid, a vital component in health care products. 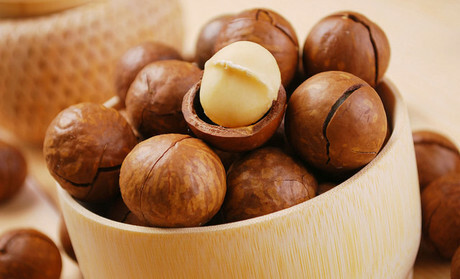 Mr.Xu believed that these uses have not gained wide-spread recognition because macadamia yields have yet to be improved. He noted that as output rises, more quality macadamia products with higher value will follow suit.